Air Pollution Has Put a Brake on Global Warming? Clean Air Acts have cut the SO2 pollution by a huge amount. Since the earth has not warmed for 16 years arguing about CO2 is misdirection. It doesn’t cause warming of any significance. What did cause warming from 1980 to 1998 was in fact clean air legislation around the world. The amount of SO2 produced by humans dropped by 1 Pinatubo volcanoes worth. 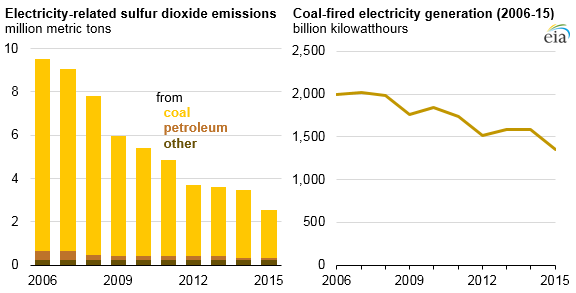 Once China’s coal burning got going, SO2 started to rise again and warming stopped. The big lie is that exporting coal causes warming when in fact the exported coal cools the earth when it is burned.